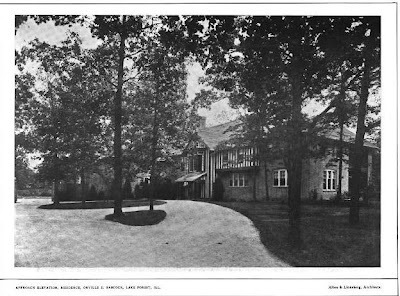 The Orville Babcock residence designed by Albro & Lindeberg c. 1910 in Lake Forest, Illinois. Interesting, I had always seen this house referred to as the Laurance Armour residence, so I assume there may have been later modifications for the Armours. 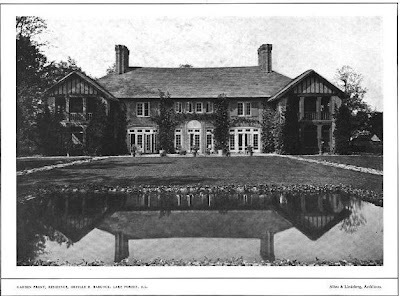 "Two Gables" is a unique home with its ownership to be sure with perhaps its most infamous being actor "Mr. T.". Alas his national headline making news in 1986 with his cutting down all of the trees (Jens Jensen did the landscaping) broke hearts but did result in modified laws with future insane acts. 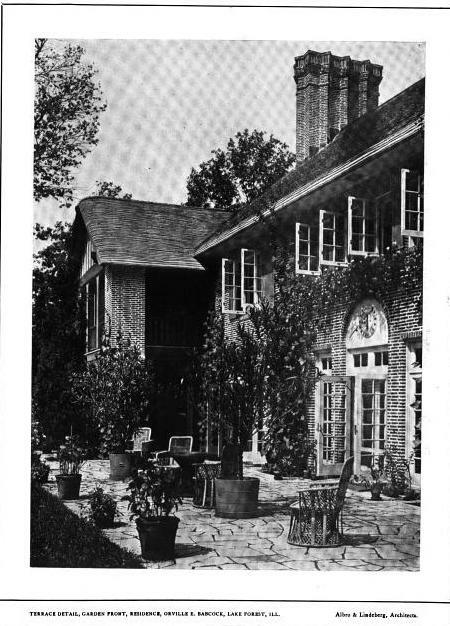 The property was built in 1910 for banker Orville Babcock who then sold it to Laurance Armour in 1913. 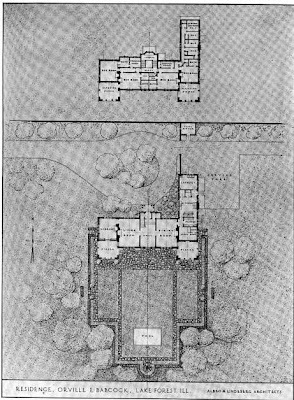 The Albro/Lindeberg stamp on the house was partially lost when there was a roof and interior fire in 1928. 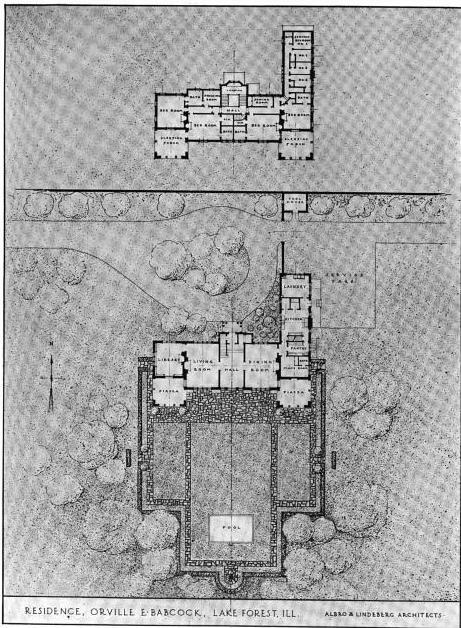 Armour then enlisted David Adler to renovate. The Armour family held onto the property until the 1980's sale to Mr. T for $1.7M. 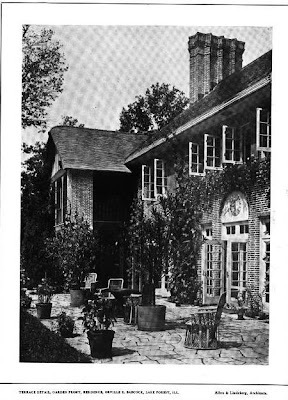 The property passed through a few more hands (after Mr. T's ex), was restored but nowhere near the original charm, the landscape will never be like it was, and it was sold in 2009 for $4.65M on 7 1/2 acres.